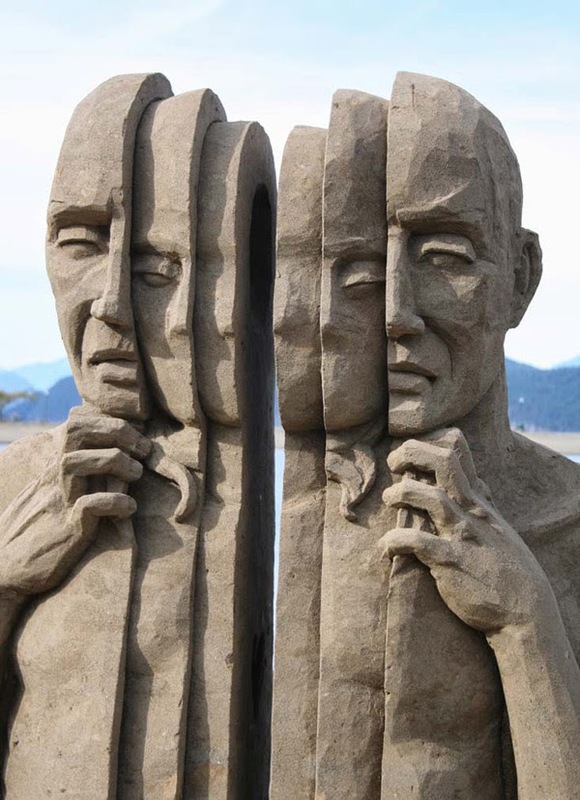 Cleveland-based artist Carl Jara creates these monumental, purely original, and jaw-dropping sculptures out of sand. 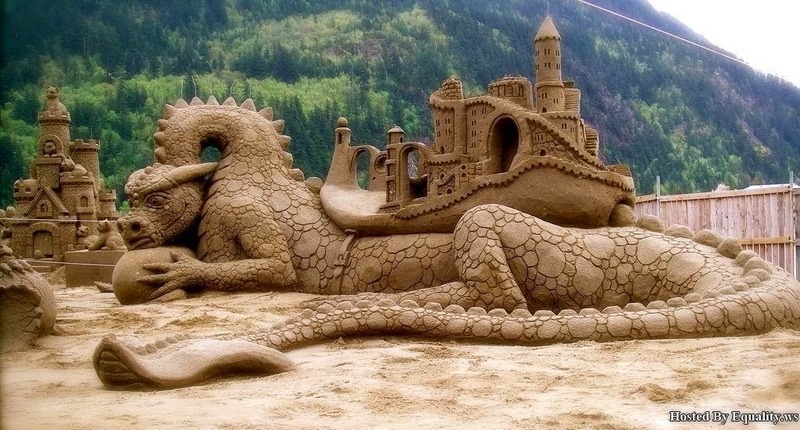 The craft, medium, execution is equally as astounding as the content. This man is brilliant. See more pictures of his work here and see his official website here. 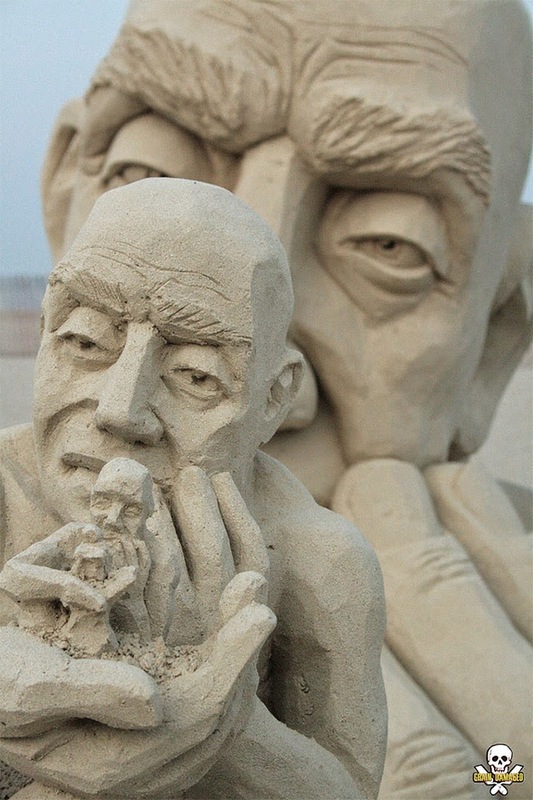 Now, looking at those grand works of sand art, consider the minuscule elements they are built out of. 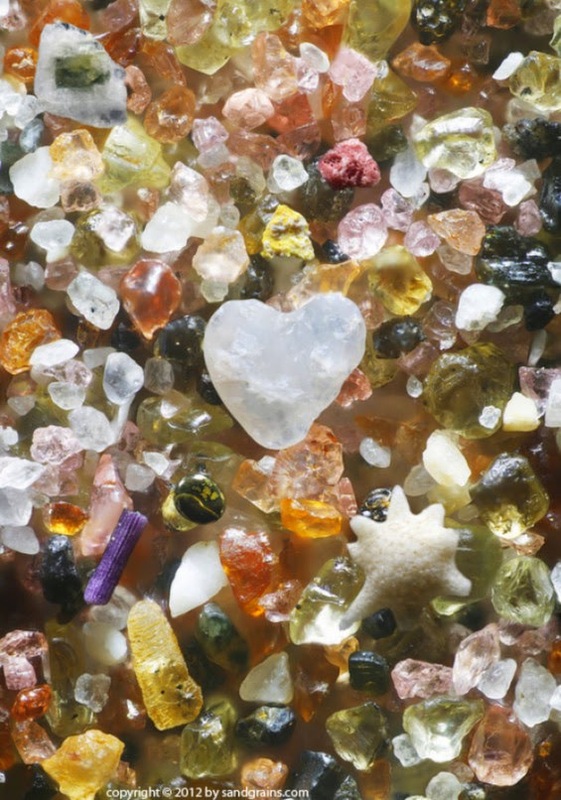 Another artist, photographer Gary Greenberg, zooms in to capture the shape and form of grains of sand. 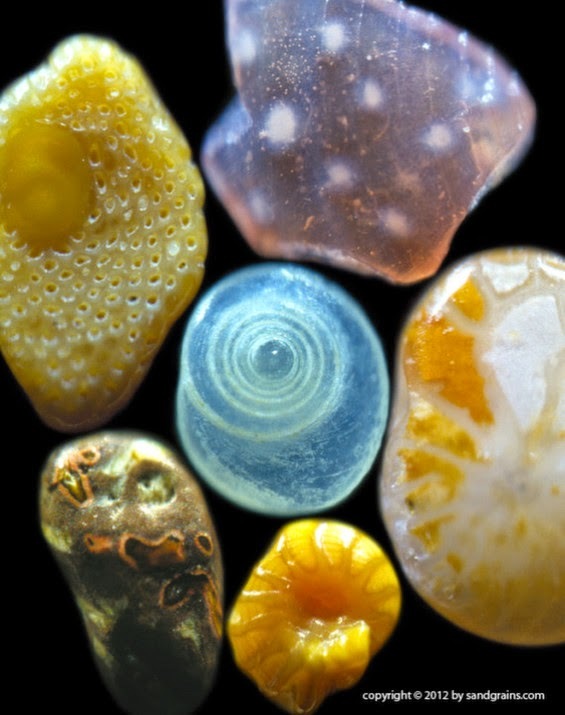 The resulting ethereal images immediately call to mind the words of William Blake, "To see a world in a grain of sand." 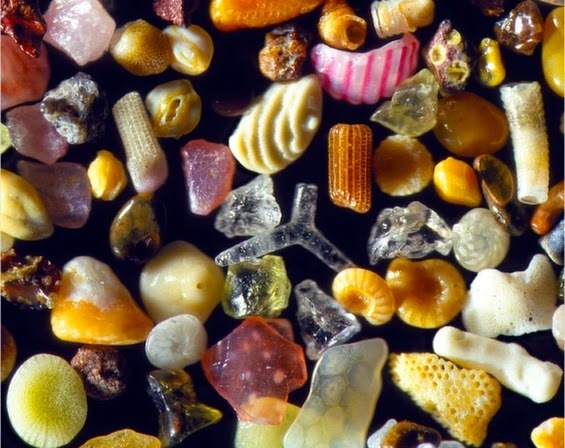 This is what sand looks like up close. 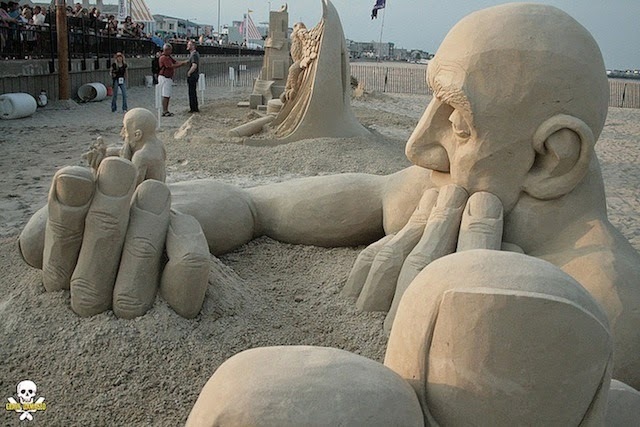 This is what SAND really is!!! Thanks to Juxtapoz (and my girlfriend) for pointing me to Carl Jara's work and thanks to Beautiful Decay for pointing me to Greenberg's.